If you are beginning a low carb diet, you might consider giving up potato and corn chips as one of the most difficult things to do. The salty and crispy crunchiness of these chips indeed make them be an ideal snack and so considered as perfect item to be served along with tasty dips such as spinach and hummus dip. But, even just a serving of these potato chips will already contain several grams of carbs and since it is very hard to eat only a tiny serving, there are numbers of people who end up eating all the carbs for the day with just a quick snack. But worry not since there are numbers of low carb chips out there that you could choose to munch on instead. Aside from that, most of the chips bought in the store would tend to contain too much salt and grease, so the best alternatives are homemade chips which will be discussed below. 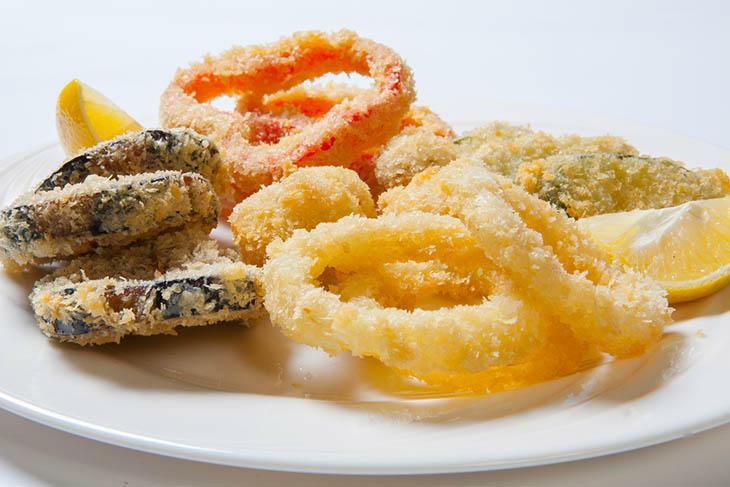 Once too desperate for a low carb alternative for your favorite snacks, there are numbers of chips that are low in carbohydrates perfect for those who are on a low-carb diet. Indeed, most root vegetables are known to be high in carbs however radishes are being exempted. In most cases, they are eaten in raw salads, they have peppery and sweet flavor making them work great as chips. Radish also has firm texture making sure that radish chips are crunchy and crisp rather than being soggy. The recipe would bake the chips in the oven rather than deep frying making them low in both carbs and calories. An alternative to that is to use an air fryer for a healthier alternative. 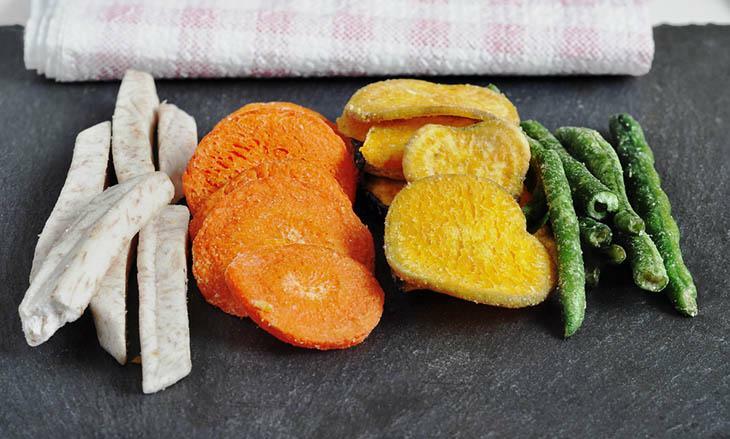 This is considered as one from among those flavorful vegetable chips that are low in carb which exist. It has tasty and Tex-Mex flavors making these chips definitely satisfying. The recipe would also use nutritional yeast giving them a cheesy and yummy flavor. Still, the chips are definitely vegan and dairy free. Even if you could use any type of spinach, it is advisable that you use pre-washed baby spinach making a fast and easy process. One serving of spinach would give over 50% of needed Vitamin A every day, this one is indeed a healthy way in order to enjoy low carb chips. 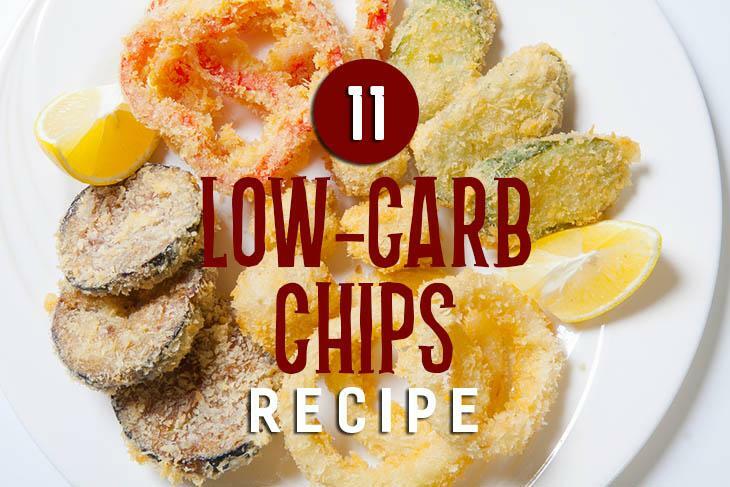 Not just considered as an easy low-carb recipe, these chips are also fantastic ways in order to get some of the needed protein once in a low-carb diet. 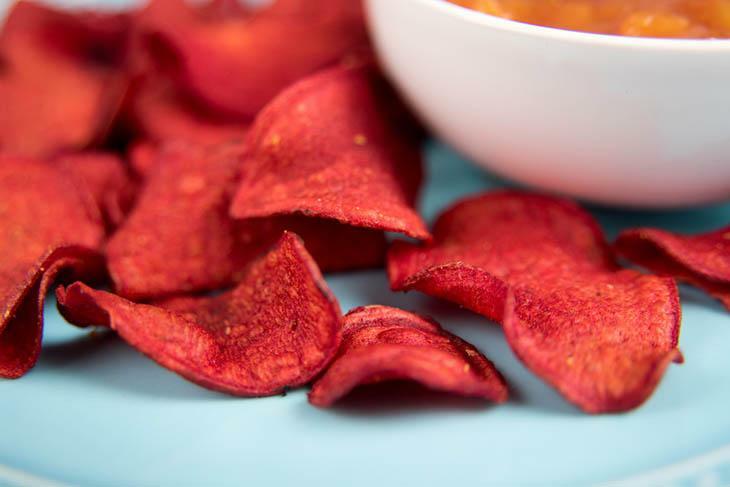 The recipe would use microwave allowing you to quickly prepare a full portion of these chips once you want to munch one and the only needed ingredient is the classic pepperoni. Indeed, pepperoni chips would be tasty once served with a cheesy dip. Almond flour is being used in order to make a gluten-free and low carb cracker which is just as healthy as eating your favorite nuts. It would use sour cream in order to bind the almond flour making it as a great choice free from egg. You simply have to sandwich the dough between parchment papers as you roll it out in order to get the mixture to a perfectly thin roll. Fresh and raw cucumbers are being considered by many, but with a dehydrator, cucumber chips are indeed delicious and low in the carb as well. The texture of these dehydrated cucumbers is a lot crunchier without being brittle making them an excelle﻿nt substitute for chips. Since they are not fried or baked, oil is not required, so you could eat these low-calorie chips in huge portions having not to pack on pounds. As a fall staple, butternut squash chips which could be enjoyed all year round. Once you have a mandolin slicer, it would be a lot easier to make these recipes by simply sliding the narrow necks of the butternut squash across a slicer. These chips also need pre-boiling the squash as for shortening the baking time. And the parmesan would provide a nutty taste which perfectly complements its natural sweetness. This one is indeed a very simple low-carb chip which could be adapted easily in order to fit any tastes. Zucchini offers a very mild flavor which would go well with certain spices such as curry and garlic. It could also gain quickly a crisp texture once baked at a low temperature. Raw zucchini might have lot of moisture, you must not be surprised once these chips shrink a bit in the oven. Once making them in a big group, simply double the recipe. 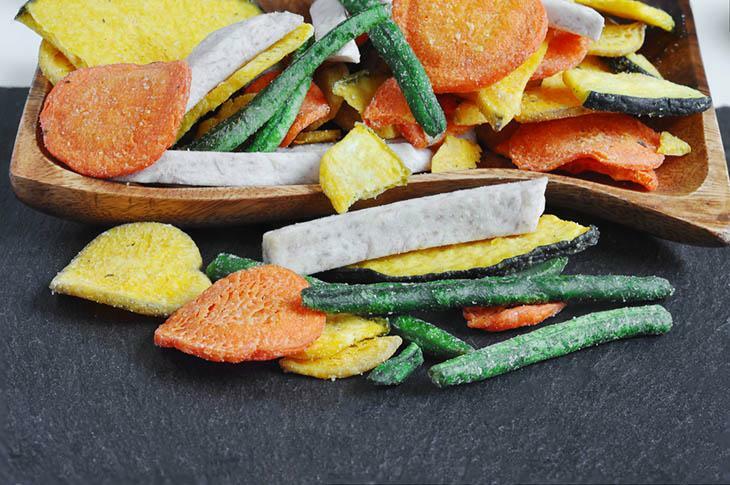 In most cases, recipes intended for carrot chips are being used in order to make a savory snack, however, this one is great for people having a sweet tooth. The carrots could either be sliced in rounds or strips based on your choice. It is also considered as an innovative cooling recipe being used making sure that the chips are crunchy without being overcooked or burnt. Knowing that the dip is made only of a plain yogurt along with a bit of honey, it will be sweet having not loaded with calories. The key to this one is to find low carb tortillas. These are considered to be low carb chips that are not seasoned heavily, so they could work with different chips rather than hummus. 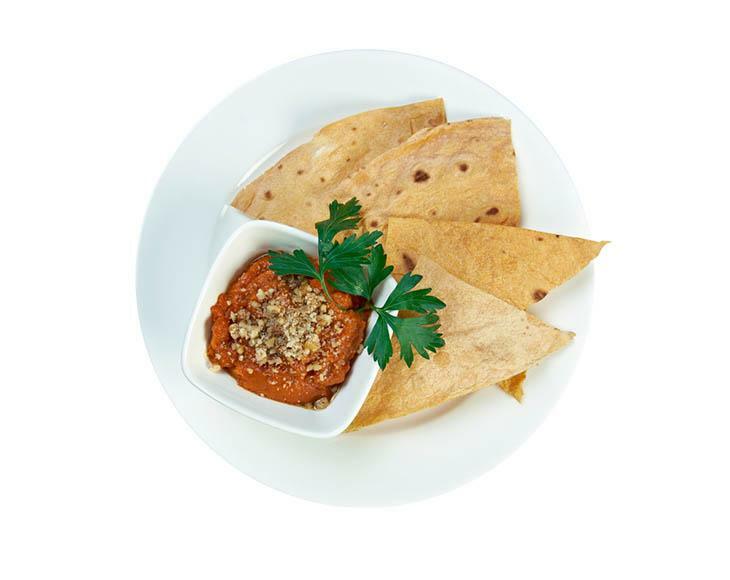 But, the hummus is one of the best options as low carb dip since it is high in protein, magnesium, and iron. In order to make sure that they are perfectly crisp, you must not overlap the chips as you bake them. It might be an unusual choice if you are to use tomatoes in making chips however this idea could actually work well. As for the perfect texture, you must use a dehydrator in removing the moisture from the tomatoes having not to overheat them. Through starting out with thick slices, this one would prevent the tomatoes from shriveling too much. The basil and the sea salt are used in order to flavor the chips giving them a pleasant and Italian flavor. There might be people that are not enjoying beets but once they are baked as chips, they would definitely change their mind. Some low-carb snacks bought in most stores could be overpriced however if you make these chips, it would be so easy and will help you save money. It would only use a wise trick in order to keep these chips from curling up a lot and also use a mix of golden and red beets that would add extra flavor as well as color to the chip mix. If you really want chips but you are on a low-carb diet, the above-mentioned chips are definitely of great options. Remove the thick stems then tear them into pieces and wash them thoroughly and dry. Put the cut kale in the gallon zip lock bag then add oil and zip closed. Simply, massage the kale in the bag. After, put the kale on the baking sheet but do not overlap the pieces. Sprinkle them with parmesan cheese and salt. Put the oven rack in the top third of the oven and bake them until the edges are already brown. Lay the slices of eggplant on the grates of the dehydrator. Then, brush the thin layer of sauce over every slice. And combine the seasoning along with the cheeses together in the bowl. After that, sprinkle them over every slide of the eggplant. Finally, dehydrate at 135 temperature for veggies like for around 6 hours. There you have it! Some chip recipes that you could really try though you are in a low-carb diet. We couldn’t deny the fact that chips could really be a great snack so it is so hard to give them up once planning to be in a low-carb diet. Good to know that there are low-carb chips out there that could serve﻿﻿ as best alternatives that will still let you achieve your goal of consuming low-carb a day. These chips will not just let you enjoy but will let you be a lot healthier too! Are you also in a low-carb diet? If yes, share your experience with us about how you give up your favorite chips and find one with low carb. We will be happy hearing your thoughts!